How should Buddhists train the mind? What happens to our brains when we meditate? Why do meditators seem so calm, and what happens when they get triggered? Does Zen practice turn people into unfeeling zombies? Where do all these thoughts and emotions come from, and what does meditation do about them? Can meditative states even be studied by science? A revolution in science has recently revealed that the adult brain remains open to change throughout the lifespan. Though many brain scientists have in the past stated that the mind is just the activity of the brain, we can now look at the connection between these two dimensions of our lives from a different perspective. When wee consider the mind as an embodied and relational process that regulates the flow of energy and information, we come to realize tha we can actually use the mind to change the brain. The simple truth is that how we focus our attention, how we intentionally direct the flow of energy and information through our neural circuits, can directly alter that brain’s activity and its structure. For the past 30 years research has explored the connections between neuroscience and the effects of meditation on the brain and nervous system. Hundreds of research studies have focused on this area. The book Buddha’s Brain, written by Rick Hanson and Richard Mendius and published in 2009, collected current research in neuroscience and integrated the findings with Buddhist teachings and practical exercises to explore them. This class will focus on this important work, providing both information and practices for learning together. 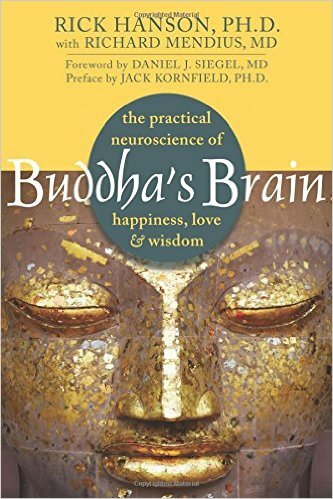 Text: Buddha's Brain: The Practical Neuroscience of Happiness, Love, and Wisdom by Rick Hanson and Richard Mendius. Appamada is a 501 C (3) nonprofit supported by your contributions. Thank you for your generosity and care!